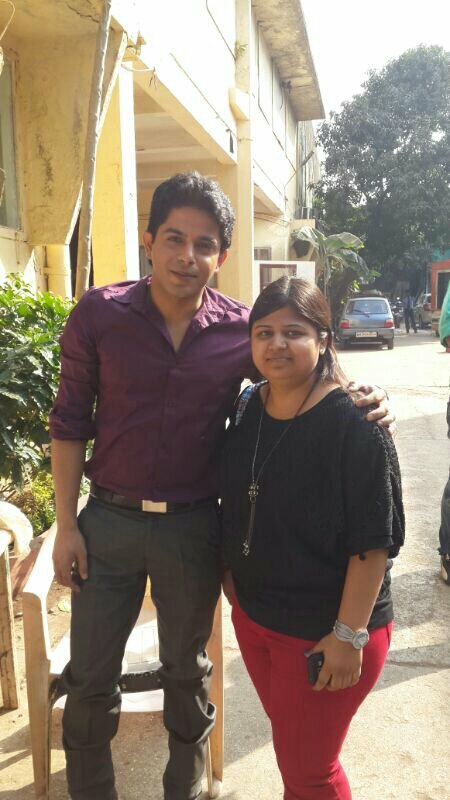 Jab I Met Sakshi !! A dream come true moment. 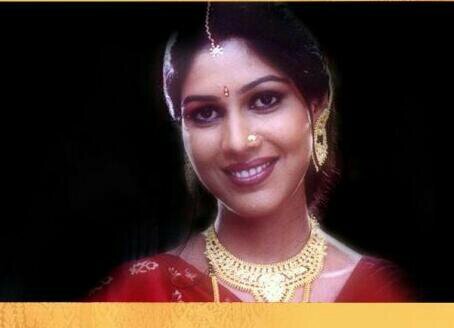 As far as I remember Sakshi has been my Idol, her humbleness, her soft spoken nature has always touched my heart.I was in school when Kahani Ghar Ghar kii started airing, I remember the first episode-her first scene . That’s exactly the point where I started liking her.slowly the likeness turned into love.In these 13yrs I used to dream of meeting her once (before I die), but at the same time I never really tried meeting her. I believe in destiny, I do believe Things happen when they are supposed to happen.Yes,we have to play our role to perfection to help Destiny perform its magic. Last month ending I visited mumbai and somehow I had a belief in my heart that I will meet her . Though there were no concrete plans, and i was gonna try my luck for the first time,yet I was sure I will meet her.And yes I met her.Along with a friend-Adi (another crazy Sakshi fan) and a stranger-Akanksha (who turned into a good friend and the one person who made this meeting possible. ) 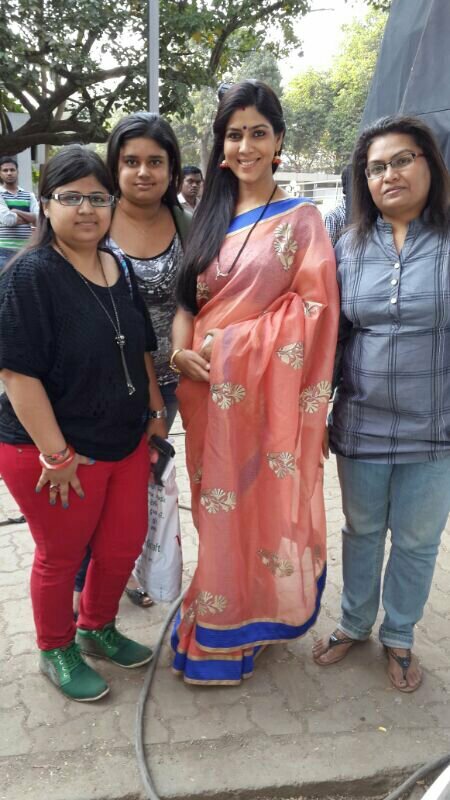 I visited Sets where Sakshi was shooting. 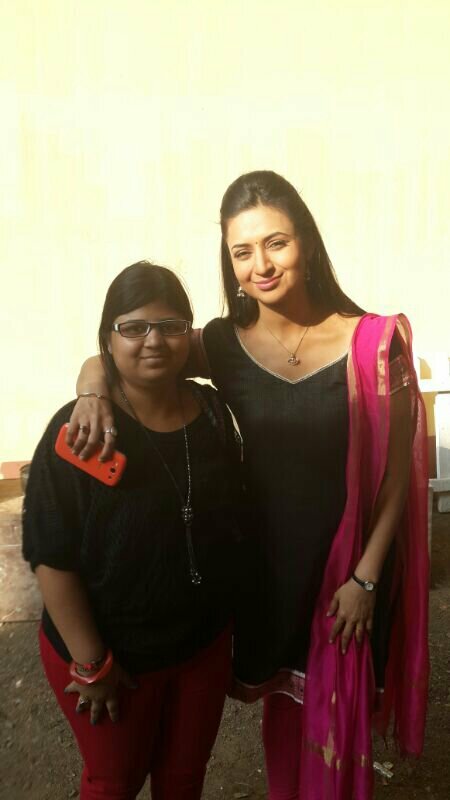 I had no idea whether she was present on the sets or not, but yet I was sure I will meet her.we saw her car entering the sets entrance but somehow missed her and she went to her Green room. We waited for 4hrs and yet there was no sight of her.In the mean time we saw so many other actors, met a few and clicked pics with some and also conversed with few junior artists and makeup artist. At 4:30pm just when we were losing hope we saw her. It was a dream come true moment. A event I am going to cherish all my life. 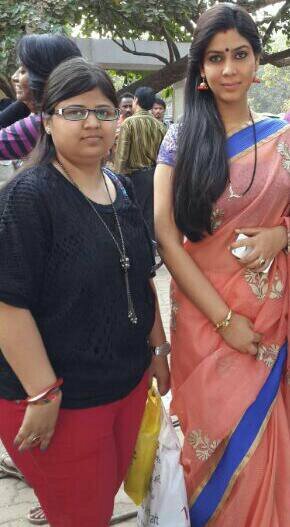 Exactly a month back I had a opportunity to meet Sakshi Tanwar. (Even though I still feel I have been dreaming it) I remember the excitement when I saw her with my own eyes. My heart stopped beating for a second (Yes, it happened) Like a Angel she walked in front of me and I shouted “Mam, one pic pls” and she smiled and gave a nod. All three of us clicked pics with her. I will never forget the words she spoke to us,Her reaction when she saw her picture on the t-shirt I wanted to take her autograph on. 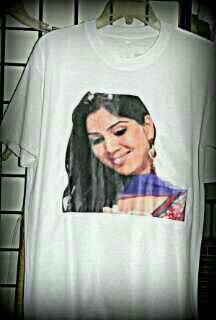 Those five minutes I spent with Sakshi Tanwar will be remembered and cherished all my life. A spl thanks to Adi for allowing me to use title of her post. Even after 14yrs of “Experience” I feel awkward for first few hours of first day every month. Yes awkward is the best word here.I know it’s about life circle and bla bla…but its bloody irritating (no pun intended). I have to plan my trips according to my period’s date.so irritating I say. Today as I type this sitting in my Paa’s office I remember I was supposed to be in Palitana right now with my parents(and coincidence dekho, Father called up to inform they reached Palitana) but Periods!! What’s more irritating is the way oldies behave when they know about it. Women keep eating my head by saying you are not supposed to do this and bla bla bla.. And men toh behave as if I am achut (untouchable).Yeah we still have such people.